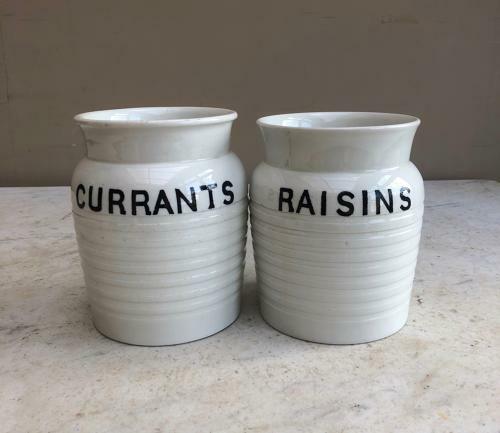 Two Edwardian White Banded Kitchen Storage Jars for RAISINS & CURRANTS. Both with their original lids. The Currants is in mint condition...the Raisins is equally good from the front and sides but has a star crack at the back. Both clean with no staining. Post is first class signed for, for £9.95 the two.